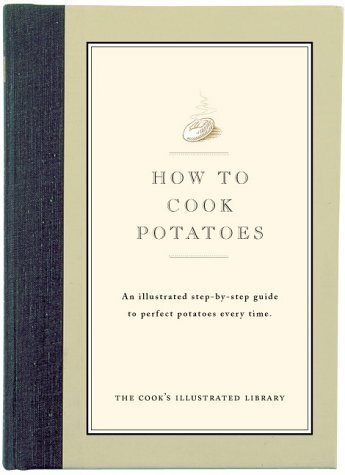 In developing How to Cook Potatoes, Cook's Illustrated cooks spent months in the test kitchen to determine the best methods for preparing this favorite comfort food. One of a unique collection of beautifully hardbound, single topic cookbooks from the editors of Cook's Illustrated, the publication legendary for perfecting a recipe through years of fanatical kitchen testing. We set out to find which oven temperature is best for the perfect baked potato? What kind of potato is ideal for a specific recipe? Along the way we also tested the best methods for mashing, frying, boiling and sauteing potatoes and learned how to produce the best hash browns, latkes, and potato gratin. This volume of the How to Cook Master Series provides you with the tips and techniques needed to guarantee perfect potatoes every time.